Property deposit scams – AVOID! Certain innocent but naïve buyers are losing their good faith reservation deposits on a regular basis in Phuket – and eventually writing off what is often exceeding 5,000USD because they discover that verbal promises were untrue and that the costs of ‘suing’ for the return of a deposit payment, even if confiscated unfairly, are prohibitive. 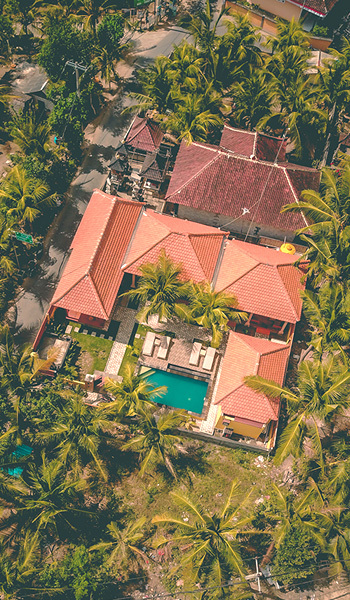 Over the last few years, there has been a significant slowdown in the re-sales market in Phuket, with those that wish to exit the market entirely finding themselves losing the capital appreciation they thought they had, by clearly being in a hurry to depart. The idea of a reservation deposit is normally for a willing buyer and willing seller to confirm to each other that they wish to contemplate finalising negotiations to effect a sale and purchase. A reservation agreement should set out key terms with certainty such as the parties, the price and a clear description of the property. Unfortunately, these simple concepts are often mishandled by incompetent or inexperienced agents, or worse – with dishonesty. I must say, of course, that there are lots of property agents who are honest and companies operating in Phuket who are very clear about deposit terms. I am unfortunately forced to write about the bad apples, which can spoil the perception and stability of the property market. “…in the event of negative due diligence, the reservation deposit shall be returned to the buyer”. This can sound very reasonable. In a jurisdiction where the wheels of justice move quickly, where a claim for a deposit return could be conducted in a fast-track, small claims court in a commonly spoken language such as English, this provision in a contract would provide a lot of comfort to a buyer. However, agents and many sellers are fully aware that this provision is an empty, or false, assurance. Agents, and sometimes agents in collusion with lawyers, persuade the prospective buyer to place a deposit into the agent’s or the seller’s lawyer’s bank account. Once the monies have moved, the buyer cannot ‘insist’ upon the return. No number of strong emails, demands and eventual legal notices will guarantee the return of the deposit monies. Then, the due diligence. The seller clearly bought the property and therefore may already have a prejudged opinion that the property is ‘fine’. They may not even be aware of access issues, potential illegality of issuance of title, or if Thai companies are involved – with potential unexplainable debts and loans which remain unpaid to shareholders, directors or third parties. No sensible or prudent buyer should proceed until issues are resolved or explained to their satisfaction. The friendliness at the beginning of a deal can quickly turn sour when there is a difference of opinion over the degree of importance of an issue. Phrases such as “I bought it and I used lawyers to check” are bandied around freely without much application or analysis. The Reservation Agreement was defective. If Thai law and Thai courts apply, then there will be Court of First Instance, perhaps the Court of Appeal and even the Supreme Court as the path of litigation over a 5,000USD claim. Legal fees would exceed the claim. You should have used a different dispute resolution mechanism. You shouldn’t have put the monies in the agent’s account without a contract directly with the agent. You shouldn’t have put the monies in the seller’s lawyers’ account – they owe no duties to you at all. The meaning of ‘negative due diligence’ is ‘subjective’ and will now have to be defined in court, because it wasn’t defined in the agreement. (a) The buyer caves in and ends up ‘begging’ for a slice of their deposit back. (b) The seller may provide something back, but will cover their own legal costs and may even give something to the agent even though a deal hasn’t been done. (c) The parties may dig their heels in and sue, with the agent’s and the sellers’ lawyers being made parties to the legal complaint. All of a sudden, accusations are made towards the buyer if the buyer has slipped up on any timing or technical aspect of the reservation agreement. This effectively means that, even with a slow property market, sellers and agents are successfully pocketing cash from buyers who might not be proceeding with a deal. What they don’t realise, or seem to care about, is that this in fact results in a wave of negativity leading to less interest in Phuket’s property market, because it is seen as unfair and unregulated, with no attractive options for remedying a breach of contract over a relatively small sum of money. If you can’t afford, or don’t wish, to lose it, don’t risk it.